Flexpak manufactures square fit pallet covers for outdoor use. 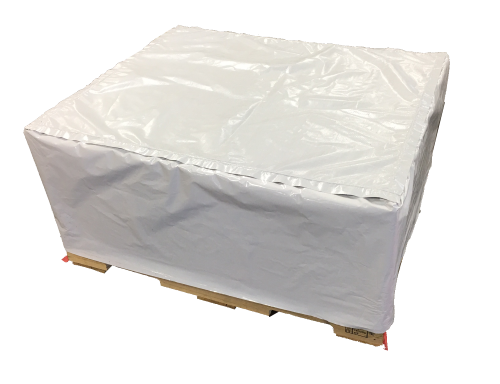 With high UV light protection and water resistant properties, pallet covers are manufactured specifically for outside use. While sod is a product which utilizes the outdoor pallet cover, other products which will be located in an outdoor environment can be protected by such a custom cover design. With water resistant and cooling properties, the outdoor pallet covers manufactured at Flexpak provides a solution for a number of products produced or being shipped while in contact with the outdoor elements. 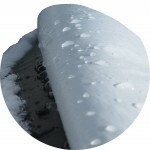 Covers that protect against water and UV damage will also resist against mold and mildew. The outdoor pallet cover has the ability to be printed on all five sides with a side-matched print. This type of pallet cover allows maximum exposure for targeting your market with product identification and quality package design. If the outdoor pallet cover needs more airflow, a more breathable cover can be manufactured at Flexpak. See the Hybrid Cover and the Breathable Lumber Cover pages for similar products, and product capabilities that would allow for greater breathability for an outdoor pallet cover. Contact Flexpak at any point for more information regarding packaging with outdoor pallet covers or if there are issues with outdoor packaging in which you need assistance.